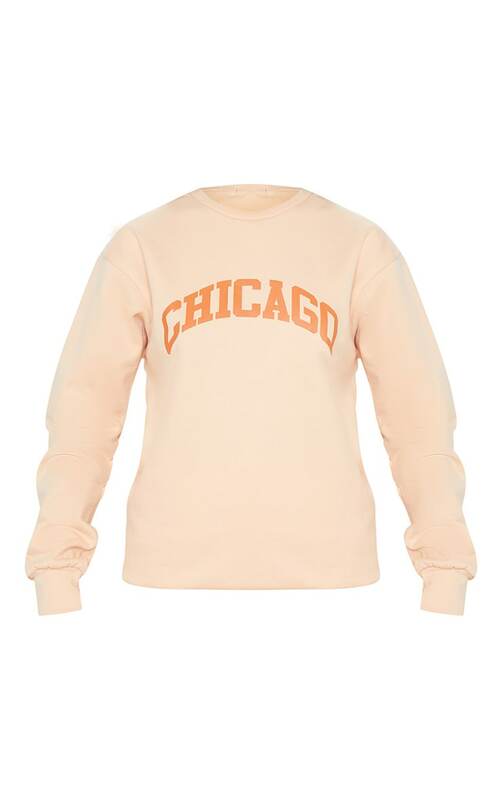 Elevate your off-duty look with this must-have sweater. 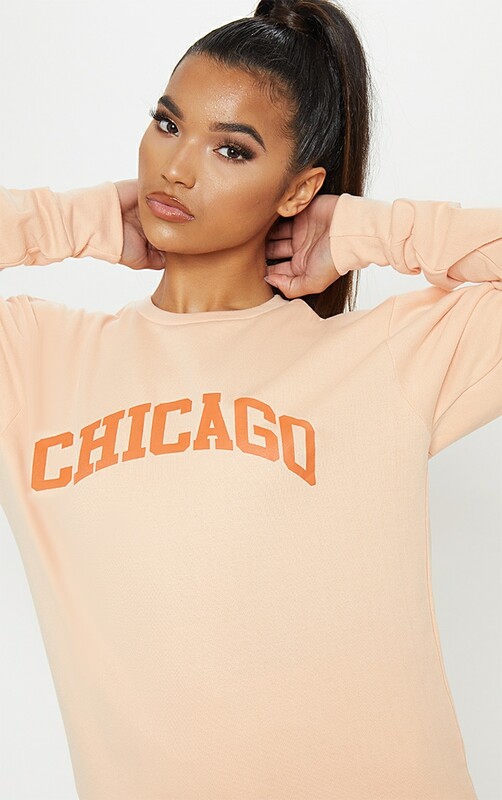 Featuring a peach sweat fabric with a 'Chicago' slogan across the front, long sleeves and a relaxed fit, you can't go wrong. Team with the matching peach joggers and complete the look with fresh white kicks for a look we're loving.